Alexa Polidoro, the Internet's favourite French teacher, presents a new series of mini-lessons for people who wish to improve their French without any pressure, in fun, relaxed and manageable chunks. 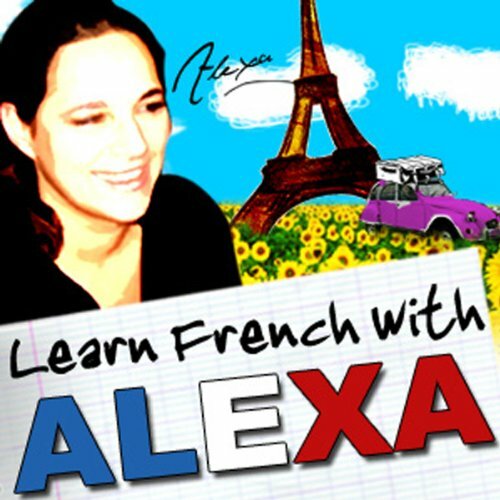 The key objective of Alexa’s Bite size French Lessons is to develop your language skills in all four learning areas: speaking, listening, reading and writing. You will also work on building vocabulary and your knowledge of French grammar. And, as usual, there’ll be more than a fair helping of French cultural knowledge along the way! Enjoy the lessons and don't forget to download the accompanying support sheets. These lessons can be enjoyed individually or as a supplement to her popular “French for Beginners” course – also available from Audible. (Each lesson comprises two topics, one French dictation and a French idiom. These lessons are for beginners to intermediate level. You may also be interested in Alexa’s Bite size Lessons based on the same topics for intermediate to advanced level – available on the Audible website.) Download the accompanying reference guide.